If you're into trends at all, I'm pretty sure you've seen grunge making a comeback. If you frequent tumblr like I do, you've maybe even seen the "soft grunge" look going around. I wanted to take a similar, yet different approach to the infamous 90's look, a "glamorous grunge". 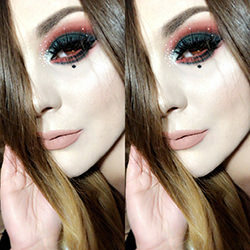 I know it's a bit of an oxymoron, but the juxtaposition of glam and grunge somehow work harmoniously together to create an amazing, head-turning look. 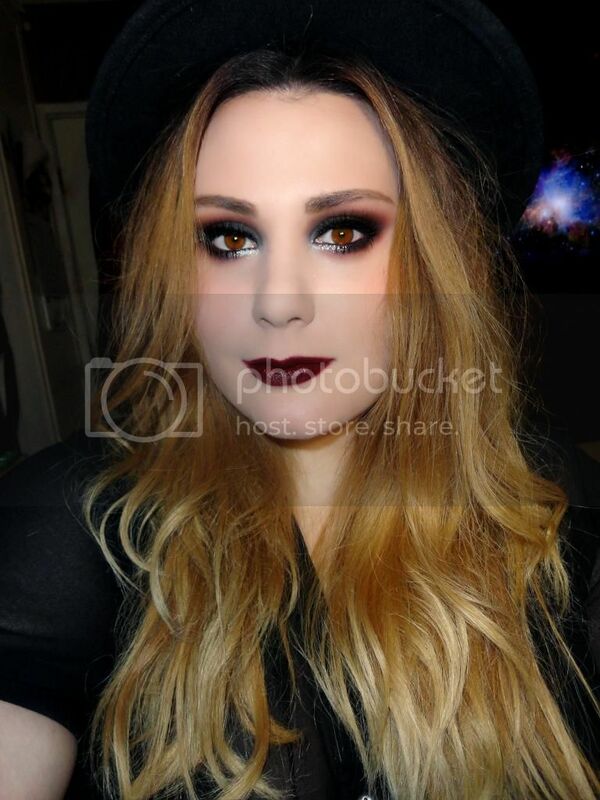 This makeup is great for the colder months and I just love the combo of the deep reds and cool grays and silvers. I really hope you guys enjoyed this look! As much as I like bright and colorful looks, I'll always be a dark and smokey eyes kinda gal! Take care, and I hope you're enjoying Autumn (or Spring if you're in the Southern hemisphere)! I love this! and I love the grunge/soft grunge trend as well. I love this! Very beautiful! Perfect!